The pilot flew a visual approach to a 1,712-ft-long by 120-ft-wide turf runway. During touchdown, the airplane bounced and the pilot "felt out of control". The pilot executed a late go around, during which the airplane struck a fence at the end of the airport property, which slowed the airplane. Then, due to approaching trees, the pilot attempted to make a turn, which resulted in an aerodynamic stall. The airplane subsequently impacted terrain and came to rest inverted, which damaged the tail. Authorities and emergency crews responded at around 9:40-a.m. today (Wednesday), to a call about a possible plane crash near the Harlan Airport. 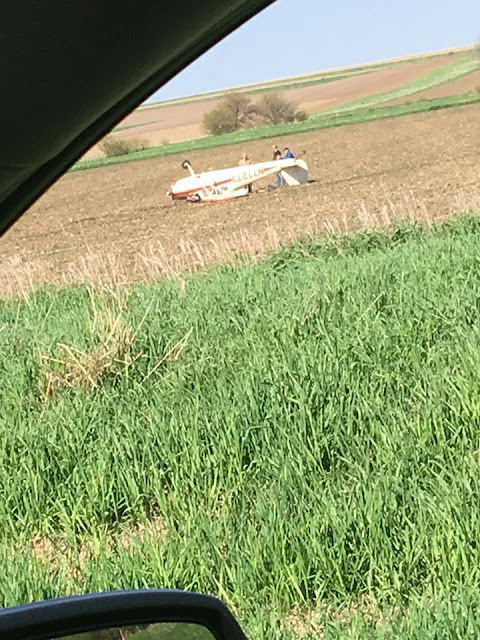 According to the report, the plane was apparently trying to land on the grass runway at the Harlan Airport, but it clipped a fence, causing the aircraft to flip onto its nose into a farm field just north of the airport, on the west side of Highway 59. Shelby County Emergency Management, the Shelby County Sheriff’s Office, Harlan Police Department, Harlan Fire Department and Medivac Ambulance were all on the scene. The aircraft’s pilot and only occupant, was not hurt. Pictures from the scene showed the single-engine, fixed wing 1946 Cessna 120 upside down in the field. It’s registry indicates it was formerly owned by Jim Kickland, of Atlantic, Iowa, but had been sold about two-weeks ago. 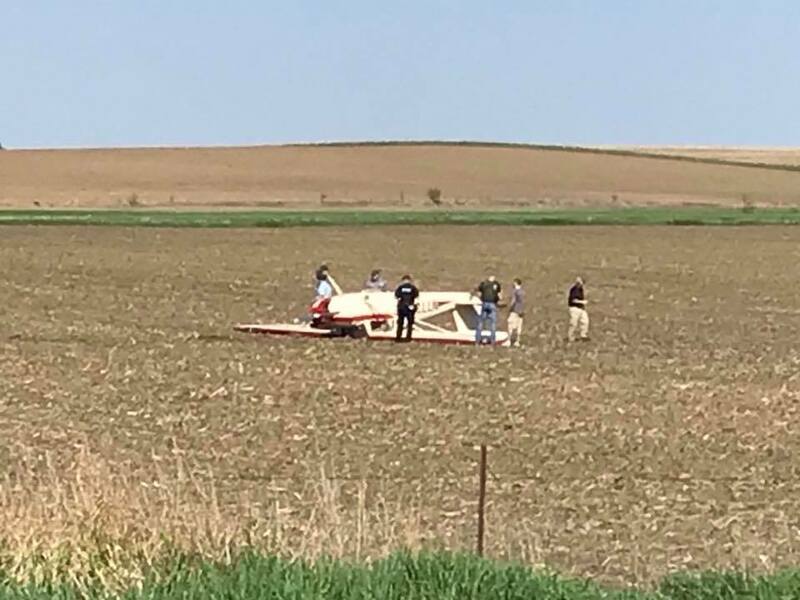 The plane’s pilot and sole occupant was not injured. His name was not immediately available. The plane was purchased from an Atlantic, Iowa, man just two weeks ago.